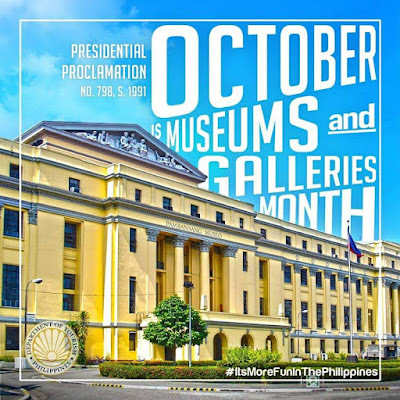 October is Museums and Galleries Month, so museums around the metro offer FREE entrance to entice Filipinos to enjoy, learn more about our history, culture, and arts. 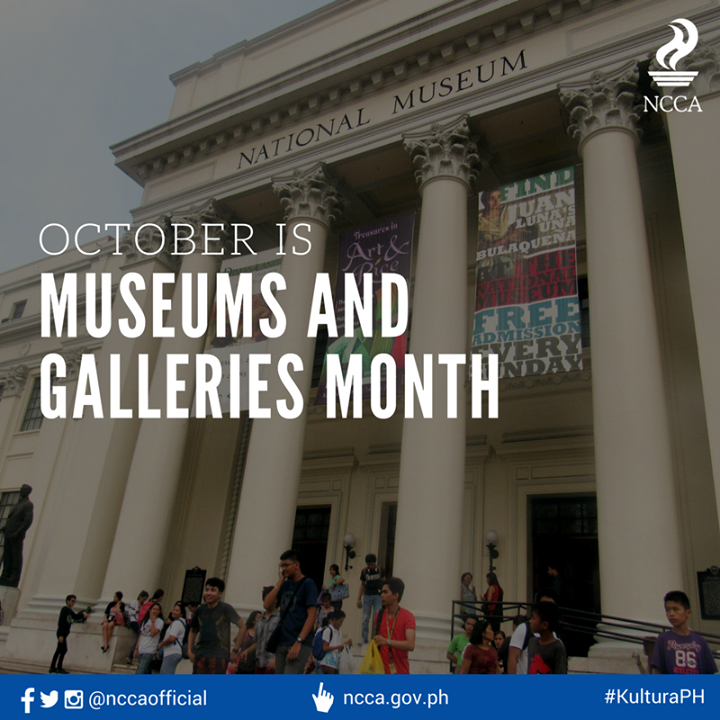 But more than that, museum (especially an art gallery or museum) is also a place to recharge, get inspired, and let your creative juices flow, and stimulate new ideas. Museums can also be a place to relax, de-stress, and meditate. The National Museum offers FREE admission for all visitors to its museums nationwide all year round. The National Museum is open Tuesdays to Sundays from 10am to 5pm. 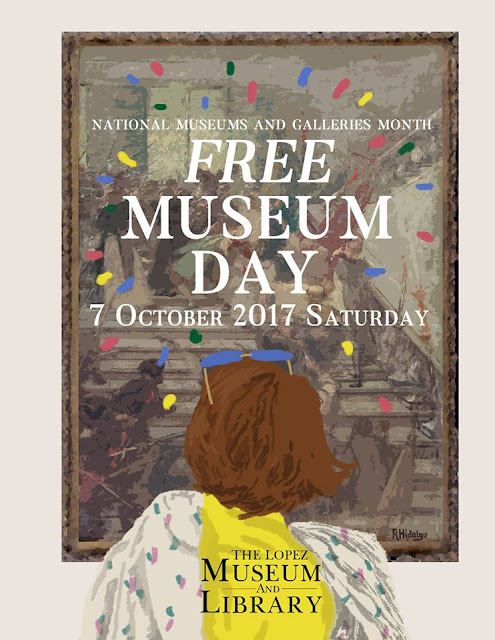 This October, Lopez Museum and Library takes part in the celebration of National Museums and Galleries Month. Visit the Lopez Museum and Library this October 7, 2017, Saturday from 8 AM to 5 PM to view the exhibitions currently on show—What do I Say to Giant, and The Given Order—for FREE. Entrance to the library will also be waived (excluding additional library services) for the entire day. For more information about the activities scheduled that day follow this page. For inquiries and other concerns, email programs@lopezmuseum.org.ph. Bring your family, friends, and lovers for a TuesDATE at the MET. 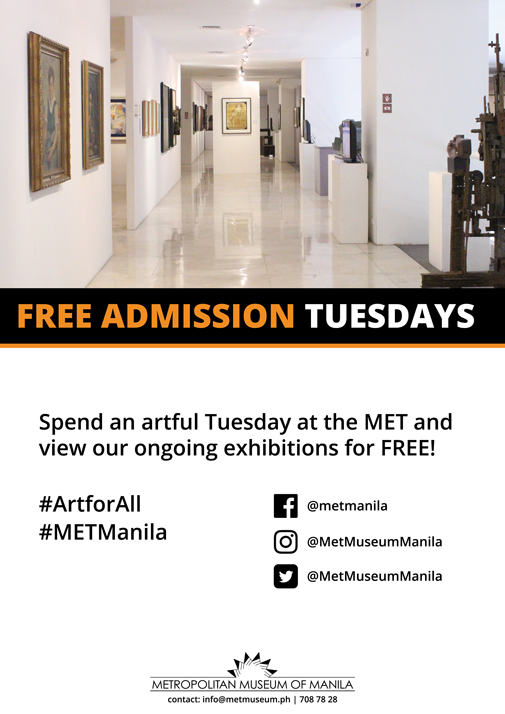 Admission fee at the Metropolitan Museum of Manila is FREE every Tuesday since last year as they celebrate their 40th founding anniversary. 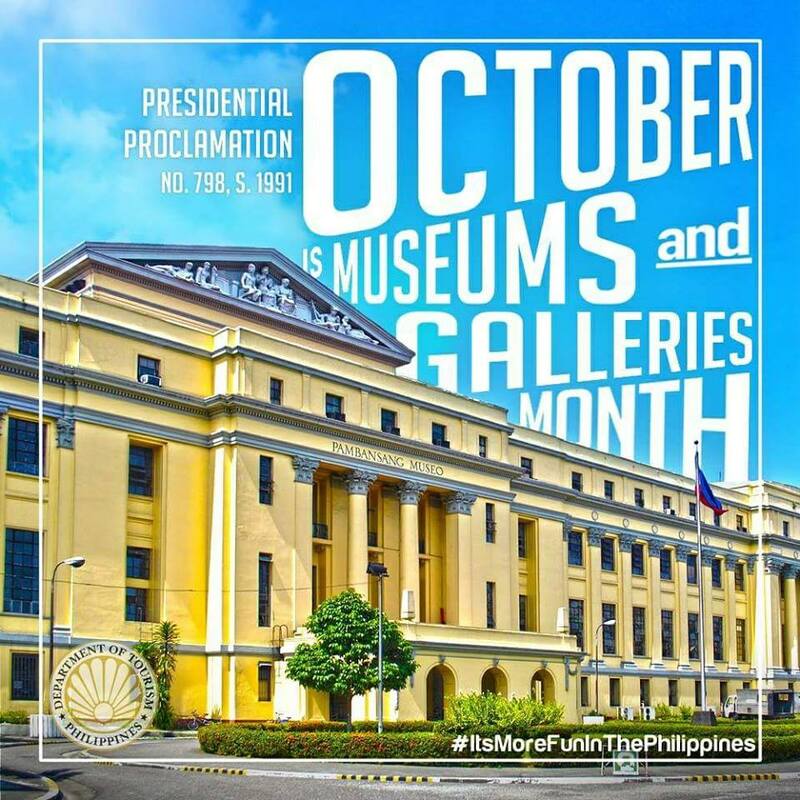 The MET is located at the Bangko Sentral ng Pilipinas Complex, Roxas Boulevard, Manila. The museum is open from Mondays thru Saturdays from 10:00 AM to 5:30 PM.